At Cosmetic & Family Dentistry in Weatherford, TX, Dr. Deborah A. Romack and Dr. Garett Mulkey want their patients to enjoy optimal oral health and beautiful smiles for life. 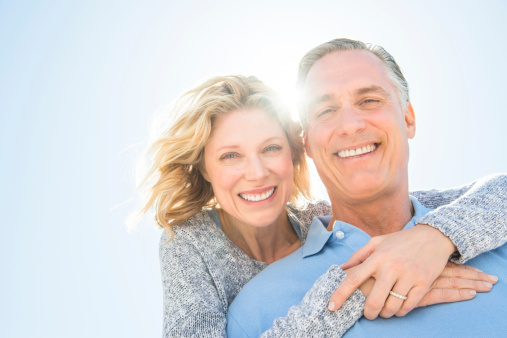 That is why we offer an extensive range of restorative dentistry solutions to patients with damaged or missing teeth, along with practical, valuable advice for patients with dentures and partials. Taking proper care of your dentures doesn’t have to be a challenge. With these simple tips from Dr. Romack and Dr. Mulkey, you can keep your custom dental prosthetics fitting well, looking great, and feeling comfortable. Always rinse your dentures after eating. This helps prevent buildup of odor-causing food particles and bacteria, and keeps your gums healthy, too. Thoroughly clean your dentures every night. It is important that you avoid abrasive solutions, including whitening toothpastes, as these can damage the material used to make your dentures. Instead, use only a cleanser and brush that are specifically designed for dentures. Before removing dentures, prepare the area properly as a precaution. Fill the sink with water or remove your dentures over a soft, folded towel to cushion the counter in case of an accidental drop. Never use hot water to clean or store dentures. While warm water is perfectly fine, water that is hot can lead to warping and bending, altering the way your prosthetic restoration fits against your palate and/or gums. Soak your dentures in water when they are not being worn. The majority of dentures require moisture in order to retain their shape. You may also use a solution especially formulated for soaking dentures. If you or someone in your family is suffering from an ill-fitting denture or any type of oral health condition that affects the fit of the dentures themselves, it is important that you call our office to discuss possible reasons for these problems, as well as solutions that fit your lifestyle. Whether you currently wear dentures and you’d like to learn more about their care or you’re interested in other restorative dental options like dental implants, our team is here to help you. Contact our office in Weatherford, TX today to schedule your visit with our doctors and our caring staff. Our primary goal is to ensure your continued oral health and overall wellness. Our cutting edge dental facility proudly serves families from throughout the Weatherford, TX area and neighboring communities, including those located in Springtown, Mineral Wells, Aledo, Millsap, Brock, and more.